Choosing your domain, your web host and your hosting plan will define your blog for months to come, and it could be the difference between success and failure. Many first-time bloggers rush into this process and end up with a domain that doesn’t tick any boxes; a host that is either too expensive or too inefficient; and, as a result, a blog that is destined to fail. So, take your time and read this chapter through before you get out your credit card and take a leap towards starting your own blog. The majority of first-timers are of the belief that a good domain is one that matches their name or brand and one that is cheap. After all, a domain is just a domain, right? Well, not quite. Your domain needs to be catchy and relevant, and if possible, it should also contain a useful keyword or phrase. This website is a good example of that. If someone wants to know how to create their own blog, they might type “How to Start a Blog” into Google. And because that’s the name of this site, because it’s in the domain and because it’s a keyword that features throughout this guide, there’s a good chance this will be the first site they see. The important thing to remember is that it should not be a case of your domain matching your name, but your name matching your domain. In other words, the domain should come before the name. So, think of something that makes sense to your blog and the industry you’re in. Think of something that contains a good keyword or two, and then use that as your domain. If you can get your main keyword in your domain and your title, then you’re off to a brilliant start. As for the place you buy your domain, they’re not all the same. The domain itself will certainly be the same, but the service you get may not be, nor will the options for forwards, renewals, special offers and a number of other things. Price is important, but it’s not everything. Do not put your trust in a company purely because you know them from their billboards or their Super Bowl commercials (we’re thinking of one company in particular here). Shop around. That particular company has a huge market share, and because of that market share other companies are desperately reducing prices in order to attract custom and stay afloat. You can take advantage of that and scoop a very cheap domain, just make sure you are dealing with a reputable company (a search on Google, Facebook or a review site will tell you all you need to know about that). In fact, if you were to ignore those high-budget ad campaigns and simply punch “that” company into Google and into review sites, you will discover that Super Bowl commercials and testimonials aside, they don’t have the best reputation for quality, price or service. It’s all about brand power. Heinz may not have the best tasting baked beans; Kleenex may not be the best tissues; and Band-Aid may not be the only sticky plaster, but those are the companies we associate with that product, so that’s where we go when we need that product. As for the domain extension, it’s always best to focus on .com. If you are outside the US, you should also pick up a domain that carries your country’s extension (.co.uk in the UK; .ca in Canada, etc.,). And in many cases (if you choose the right supplier) you will be able to pick up a discount on this domain when you buy it alongside a .com domain. For instance, right now there is a major domain host in the UK offering a free .co.uk domain (for one year) for every purchase of a .com domain. Like domain names, web hosting plans can be bought cheaply. But by focusing entirely on price you will only be creating problems for yourself down the line. Shared hosting is one of the biggest cons in this industry, at least for the most part. Shared hosting is the most basic hosting plan you can purchase. It is cheap, but it is far from cheerful. Shared hosting is brilliant for the providers as it allows them to crowd a single server and receive subscription charges for each user they load onto it. They can also charge very little, using that price point to attract new customers. But regardless of the spec, regardless of how much bandwidth or space they offer you, be very cautious of this option. Shared hosting, as its name suggests, means that you will be sharing a server with many other users and countless other websites. Web hosts rarely make a point of telling you how many bandwidth-hugging users they will cram onto a single server, and even when those servers are relatively sparse, your website will still struggle during peak times. If you have ever set up your own website and wondered why it seems to crawl at a snail’s pace, this is why. Even when your blog has just launched, even when there is very little content and very few users, this is still a bad idea. If your site is slow, users will ignore it; if your site times-out, Google will ignore it. Fortunately, you don’t need to splash the cash on a dedicated server to get a website that runs smoothly. In fact, even if a dedicated server is within your budget, it’s not something you need right now. A shared hosting plan might fall short of your needs, but a dedicated server would be overkill. 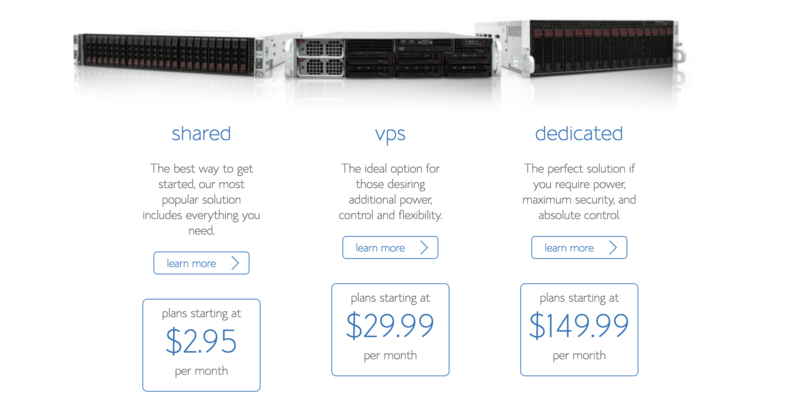 VPS servers are somewhere in-between shared hosting and dedicated servers. They are very quick and they are all yours, but they are also fantastic value for money. There are two kinds of VPS server, and understanding which is which is very important. The “self-managed” servers need to be managed by you. If anything goes wrong, you’ll be expected to fix it. In many cases, sending an email to customer support will return a message along the lines of, “As this is a self-managed server, we are unable to help you”, although the better web hosts will point you in the right direction. These VPS servers are cheaper and they are perfectly acceptable if you have a little technical know-how or will be hiring a developer to oversee things. If not, you need to look for a VPS server that is managed by the web host, one that comes with its own dedicated support team. Best Plan — Pro Plan: This plan is usually listed at $29.99 a month, but we have ever seen it that high. There are always offers available, and at the time of writing you can sign up for less than $14 a month. All users will be placed on a high performance server and there are a number of features available as well, including the ability to backup your site and keep those backups stored safely. Second-Best Plan — Prime: This is a shared hosting plan, but it is considerably less restrictive than typical shared hosting. You can create an unlimited number of websites and you have as much space and bandwidth as you can use. The best thing about this plan is that all new users will get up to $200 in free marketing, as well a further $80 worth every year. Take these figures with a pinch of salt. You won’t need to use everything they offer and a lot of it is useless, but some of it is very handy and it’s good to have it as an option. This plan is often available for less than $7 a month, although the standard price is nearly twice that. Best Plan — Dynamo: Although the standard price is listed as $16.99 a month, you should be able to get this for less than $9. There is always an offer on and those initial prices are as genuine as a “blowout sale” at a furniture store. This plan is geared towards websites that attract a lot of traffic, and it means you’ll be prepared for that traffic when it comes. It’s always good to be ready for this, because if any of your articles go viral and you don’t have the bandwidth to handle the traffic, then you’ll miss out. You can create as many sites as you want under this plan and you will also receive some free advertising credits and a free domain. Second-Best Plan — Nitro: This option is just a couple of dollars cheaper, but if you are on a tight budget, it can still get you through. It comes with many of the same features as the Dynamo plan, but it won’t be able to handle as much traffic, there are a fewer number of resources available and you won’t get any advertising credits. The prices, features and the plans themselves are always changing. But if you concentrate on leading providers like the two mentioned above then you can typically expect to receive the same features at each price point. Put simply, if you’re paying anything less than $5 a month, then you’re going to get something that will have more of a negative impact on your blog than a positive one. If you’re paying around $10 a month, then you can expect something that will not timeout, will be easy to manage and will come with a number of additional features. Unless you’re getting some extraordinary features, or unless you’re signing up for a VPS server, a cloud server or a dedicated server (all of which can cost upwards of $30 a month) then there is no need to pay more than this. Cheap isn’t always cheerful, and with shared hosting you really do get what you pay for. Unlimited space is not essential to begin with. Articles, themes and occasional images won’t take up that much space and you can always add more later. Unlimited bandwidth is important, but not essential. Get a plan that covers your needs now and your needs in the future, but don’t go overboard. 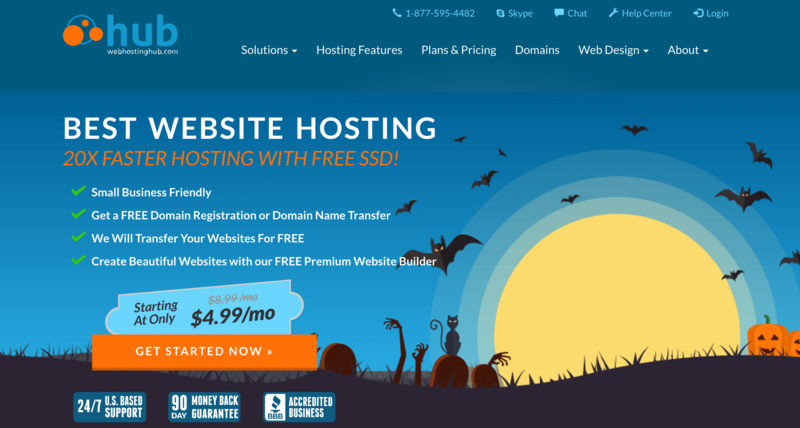 Your hosting/domain budget should not account for more than a quarter of your total budget. A domain is essential, so don’t try to skimp with a free subdomain instead. When purchasing your domain name and hosting plan you will be offered a lot of extra features as the provider attempts to bump up the cost and get a little extra cash out of you. These are the chocolatey treats that you can’t resist at the supermarket check-out line, but they’re not all worthless. Below are a few of the extras you might be offered and the reasons why you should and shouldn’t purchase them. But before you take any of this into account, make sure you read the small print and make sure you look at the bigger picture. It’s not uncommon for hosting providers to offer you a “special” price for the first month, only to increase this for every month after. So, if you see the words ”special offer” or anything similar, do your research and make sure that the price won’t go back to normal as your membership continues. And remember that lots of small extras will amount to a sizable sum over the course of a year or over the lifetime of your blog. As an example, let’s say that you’re offered 3 extras at $2, $0.50 and $1.50. These small amounts may not look like much on the surface and if they’re followed by a big red “sale” sign, it may even look like a deal you can’t refuse. But that’s $4 extra a month, $48 extra a year. And if you run that blog for 3 years only to sever ties, call it a loss and start again, that’s close to $150 in extra cash that’s not sitting in your bank account, $150 that could have been used to fund an entire new project. These sites are hoping you won’t do the math and that you’ll only focus on the monthly cost. Privacy Protection: Very few first-time website owners seem to understand that when they purchase a domain, their details are logged and made available for everyone to see. The name, address and phone number you use to register a domain can be viewed via something known as WhoIs search, and the only thing they need to view these details is your URL. You can make these details private though, which is where this optional extra comes in. It can cost around $10 a year and if you’re running an anonymous blog, or if you just don’t want your details exposed, it’s worth it. If you do not purchase it, you will be spammed for weeks after making the domain purchase, with web developers, designers and more emailing you and phoning you. For this reason alone, it’s worth it. It’s also essential if you want your blog to be anonymous. Mailboxes: Every blog needs an email address, so this is an extra that you should always purchase, right? Well, not quite. You see, most domain purchases and most web hosting packages will come with free email addresses. You own the domain after all, so it’s only right that you own the chance to use it in an email address. To use these, you just need to enter your POP email information into a program like iMail (Mac) or Outlook (Windows). These mailbox extras are not offering you the chance to use email addresses, they’re just offering you a platform through which you can receive, view and store your emails. It’s a mailbox, not an email account. Even if you don’t use an email program, these are still not necessary, as you can always forward your emails to a free email provider like Gmail. Cloud Backup: Some web hosts will offer you the option of backing up your site to the cloud, providing a little extra security. There are other ways to backup your content, but if you’re not very technically minded and are concerned about losing all of your content, then you might want to consider this option. Just make sure you actively backup your site to the cloud every now and then. Too many blog owners purchase extras like these and then don’t do anything with them, only to panic and curse their oversight when something happens. Advertising: All web hosts will offer you some form of marketing, usually attaching a monetary value to this to suggest that you’re getting a lot more than what you pay for. This is the case with the hosting providers mentioned above, and with the marketing included in the recommended packages. Even in these cases though you will probably be offered optional extras. These are often labelled as “SEO Packages” or something similar, with the suggestion that by purchasing these extras your site will be placed higher in the Google search engine. This isn’t really the case, and there’s nothing special they can do that you can’t do yourself. So, unless they’re offering to assign an SEO expert to work on your site, unless they can actually guarantee to get you placed high on Google (neither of which are likely) then skip these extras. Email marketing packages may also be offered, but these typically consist of giving you the option to spam people who really don’t want to hear about your website. Enhanced Support: Many low-end packages don’t come with decent tech support, and some of them specifically exclude one-on-one support (Self-Maintained VPS Server packages are a good example of this). In such cases, the technically disadvantaged of you might want to opt for an extra like this if one is available. Just don’t spend too much money on it, as it may be cheaper to hire a freelance developer. Software, Scripts, and Website Builders: You shouldn’t need to pay extra for e-commerce scripts, as these are easy to set up through PayPal and other payment providers. You don’t need a website builder either. These programs are often fiddly and time consuming, and they don’t always deliver the results you need. Don’t be lured into buying something like this under the pretense that it is essential to building your site, because building a WordPress website is incredibly simple. In fact, it’s easier to get a WordPress site up and running than it is to build a site using a standard website builder program.